Greengamers has provided a nice set of graphics tweaks explaining all the graphic settings to increase performance for The Witcher 3: Wild Hunt. you can view a video guide below or if you prefer the settings are listed further down. 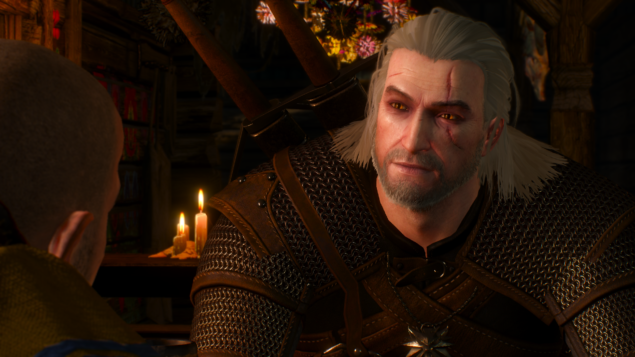 Here is a Witcher 3 graphics tweak guide, explaining all the graphic settings to increase your performance. Royal Griffin boss fight at the end with Fraps enabled. My FPS ranges from 40 to 55 with these settings. Only bloom, Sharpening and Light shafts on. Not everything has to be set on Ultra for The Witcher 3 to look beautiful. Be sure to have the latest drivers installed though. The game has V-Sync on by default, so turn V-Sync off and maximum frames to unlimited. Set the resolution to your native resolution. Set the display mode to your preference. Borderless allows you to alt-tab to your desktop much faster. Nvidia HairWorks will have a large impact on your framerate, so turn this off. The number of background characters, limits the number of NPC’s on your screen. Low limits it to 75. I guess you will never see more than 75 characters on screen at once, so just set it to low. Setting shadow quality to medium should save you around 5 to 10 fps. Terrain Quality is intended to increase the geometric detail of terrain surfaces through tessellation, but this is not working yet according to the Geforce page on the Witcher 3, so just set it to low for now. Set the water quality to high as the performance cost is only 1 or 2 fps. The grass density is the amount of grass on the ground. set this as high as you want, because you will only loose about 1 frame. If you have a 2GB graphics card I recommend medium or high textures and if you have a 4GB video memory you can set it to ultra. The foliage visibility range determines how far you can see foliage and trees. Setting it to low increased my performance alot and frame rate is much more stable. The detail level affects the visibility of blood spatter and other effects that are typically generated during combat. If you want to gain a few extra frames during huge fights set this setting to low. Turning hardware cursor on disables mouse acceleration, which is what you want. I can’t really tell the difference in performance with motion blur on or off, but I have it turned off. I would recommend to turn off Anti-aliasing as this will gain you about 6-7 fps. Bloom will ad a nice effect on bright lights. Turn this on as this will only cost you 1 frame. Sharpening will make the picture sharper, but has no real impact on performance. Ambient occlusion will ad more natural shadows but always has a huge performance cost. Depth of field has little effect on your frame rates. Some people want this option on, but I prefer to have depth of field of, because I don’t like a blur on the background. Vignetting darkens the screen and has no impact on frame rates. I have this option turned off. light shafts provide beautiful sunlight effects. You should really have this on as this will only cost about half a frame. Even though the settings above would certainly not be ideal for everyone, they could still provide some help to some having difficulty in configuring the game for best performance.